Are you interested in working for a dynamic think tank supporting climate change actions and sustainable energy policy in the built environment? Would you like to work in a multinational team where personal initiative, creativity and innovation are valued and put into practice every day? We are growing our team in Brussels and Berlin and are offering several opportunities in our centrally located offices in these two exciting cities. We work to realise Europe’s climate change objectives. We analyse which building policies really reduce CO2 emissions, what innovative ideas can accelerate the transformation of the building sector and how governments, stakeholders and civil society can work together to make buildings fit for a sustainable, zero carbon future. Our work concentrates on Europe and its member states, but we are also increasing our activities outside the EU. BPIE’s team is a multi-national enthusiastic and committed group who enjoys collaborating with international partners and has a result-oriented and analytical work culture in a trustful and open-minded atmosphere. 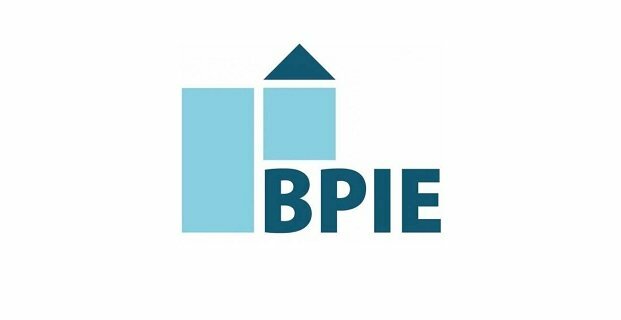 BPIE’s project portfolio includes a broad variety of assignments, ranging from multi-year projects in large European consortia to short term analysis with a high political relevance. As (Senior) Project Manager, you will have the opportunity to work in teams depending on your experience and expertise. Lead research in relation to one or more of the following domains: Strategies, policy instruments and financing programmes to increase renovation rate and depth of buildings, Impact assessment and evaluation of building policies and programmes, Indoor environmental quality, Modelling of energy demand and greenhouse gas emission scenarios, Societal needs and impacts for the transformation of the built environment. Represent BPIE in meetings and conferences across Europe. Engage and build good relationships with stakeholders such as policy makers, research institutes and industry. A minimum of 8 years professional experience in project management in energy and climate change policy, preferably including projects related to the built environment, of which at least 5 years as project leader. Strong understanding of project management methodologies. Master’s degree or equivalent in a relevant discipline, such as architecture, economics, finance, civil or commercial engineering, political or environmental sciences or equivalent. Full professional proficiency in English, any other European languages will be an asset. For the position in the Berlin office full professional proficiency in German is required. Familiarity with (national) energy and climate policies, combined with a good understanding of the role of buildings in achieving the EU energy transition and the Paris Agreement climate commitments. Proven experience in drafting (policy) reports and papers, presenting and debating technical or political topics related to the energy performance of buildings. Proven experience in preparing successful project proposals. Contribute to projects in relation to energy performance in buildings from conceptualisation to completion. Have the opportunity to lead projects depending on your skills and experience teams in varying compositions. Support and contribute to research in relation to one or more of the following domains: Strategies, policy instruments and financing programmes to increase renovation rate and depth of buildings, Impact assessment and evaluation of building policies and programmes, Indoor environmental quality, Modelling of energy demand and greenhouse gas emission scenarios, Societal needs and impacts for the transformation of the built environment. A minimum of 3 years professional experience in project management in energy and climate change policy, preferably including projects related to the built environment. Full professional proficiency in English, any other European languages will be an asset. For the position in the Berlin office, full professional proficiency in German is required. Policy analysis in the areas of energy efficiency, renewable energy in buildings, smart buildings and the wider energy system. Design of innovative policies, regulations, support schemes or financing programmes. Impact assessment and evaluation, in particular of building policies and programmes. Indoor environmental quality and multiple benefits of improved building performance. Urban regeneration, sustainable city policies or smart districts. Modelling of energy demand and greenhouse gas emission scenarios. Multiple benefits of renovation beyond energy. Adaptation strategies for the built environment to climate change impacts. Stakeholder consultation on policy issues and economic instruments. Ability to work with tight deadlines and manage/ contribute to several projects simultaneously. Willingness to work in a small, multi-national team and to be a pro-active and constructive team player. Ability and willingness to travel, primarily in Europe. A passion to fight climate change. To be a successful candidate, you need proven experience as described above, be a team player with a drive to improve and innovate policy making in the field of energy and buildings and be enthusiastic about working in a multinational and dynamic team. Convinced? Send us your applications and come meet us! BPIE offers a permanent employment contract based in either Brussels or Berlin, ideally starting in May 2019 under Belgian or German employment law. Our attractive package includes a range of employee benefits, training and development opportunities and flexible working conditions. Part-time employment of at least 75% is an option. Please send your CV and a cover letter explaining your experience and motivation in English to Anne-Sophie Nollet, annesophie.nollet@bpie.eu before March 11, 2019. We will be happy to receive your application in German if you apply for the Berlin office. Please make sure to include the job title “Project Manager” or “Senior Project Manager”, the location for which you are applying (Berlin or Brussels) and your name in the subject line of the email. The shortlisted candidates will be invited for interviews in March 2019.